The Apple Watch, while pricey, remains arguably the most capable wearable on the market. That said, one feature, official support for sleep-tracking, has always been missing from the smartwatch, especially when compared to competing devices from Fitbit. It looks like that could soon change if a new report from Bloomberg’s often-reliable Mark Gurman is accurate. Though it initially made sense for the Apple Watch to skip sleep-tracking to save battery life, with the release of the Series 3 and even more so with the Series 4, Apple’s wearable is often capable of lasting up to two days on a single charge. Bloomberg speculates that Apple could bring sleep-tracking to the Apple Watch as part of a new low-power mode that’s set to launch on the Apple Watch by 2020. This means that sleep-tracking will likely be prominently featured in the upcoming Apple Watch Series 5. The feature, as you may have already guessed, would allow wearers to track their sleep habits as long as they wear the smartwatch while they’re sleeping. MacRumors cites that Apple’s iOS Health App already features a tab designed for sleep analysis, so it’s not a stretch to predict this functionality will make its way to the Apple Watch in the future. Apple acquired Finland-based sleep-tracking startup Beddit back in 2017, and sells the company’s products directly through its website in the United States. Beddit’s sleep-tracking sensor isn’t yet officially sold in Canada. 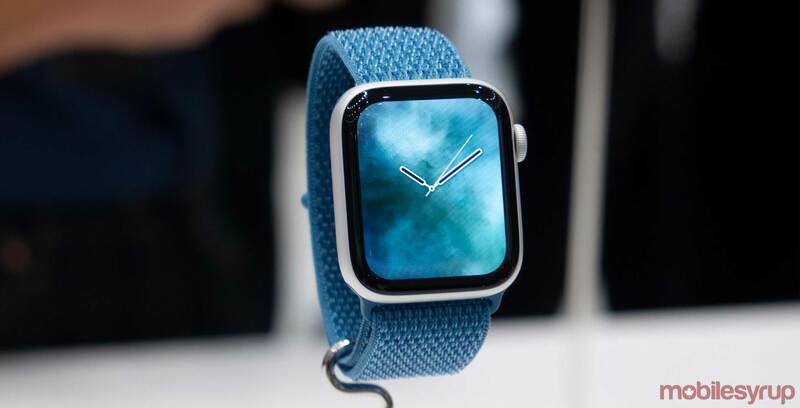 While the Beddit and the Apple Watch are two very different products given the company’s device sits on your mattress while you sleep, it’s possible Apple is utilizing the startup’s technology to bring sleep-tracking to the Apple Watch.